Earlier this week, the conclusion of the two-part tale, Gone Fission, was revealed! 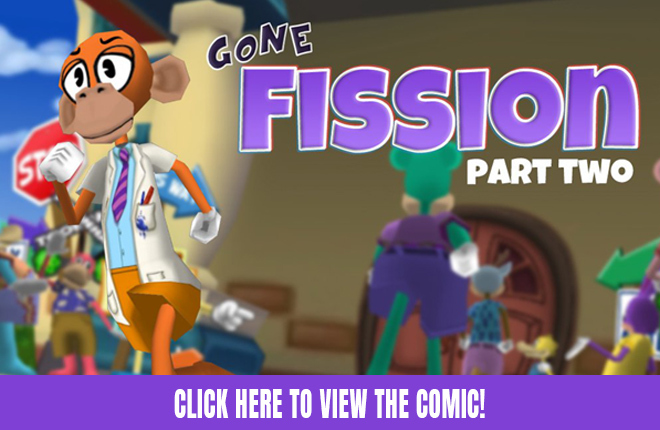 By coming together and working as a team, the community's best puzzle solvers banded together and located the concluding chapter of this two-part comic which reveals why Doctor Surlee and the Fissiontons disappeared during the Silly Meter's first maxing. From scouring Loony Labs' terminals and finding a mysterious "Cogalogue" to reading Professor Purrview's classified memos, Toontown's ace puzzle-solving team of Toons identified five equations which revealed the final password: fliCKeR. Rather fitting, isn't it? The Toontown Team had a lot of fun putting together these puzzles, and we hope you enjoyed working them out! If you would like to help with cracking the next puzzle, we recommend checking out some of the Toontown community fansites where players gather to talk about these things. If you're age 13 or older, we recommend checking out the Toontown Rewritten subreddit or joining the Toontown Rewritten Discord Server. NOTE: These communities are not officially sponsored by Toontown Rewritten. We trust the moderators of these communities and know that they maintain a family friendly environment, but we do not manage either of them. Ask a parent before joining! Welp, the Fissiontons are gone, forever. So excited! I love all the lore! Rest In Peace - doctor fissionton and doctor fissionton - they will truly be missed. but we shall rest happy knowing their death was not in vain. Legendary: Well, I'd say all's well that ends well, don't you say, Powerful? Powerful: Yes, I agree. I believe now is the time for us to go, too. Legendary and Powerful: Thank you, TTR Team, for making this game the best it can be. Well, guess... everyone's theory was right. 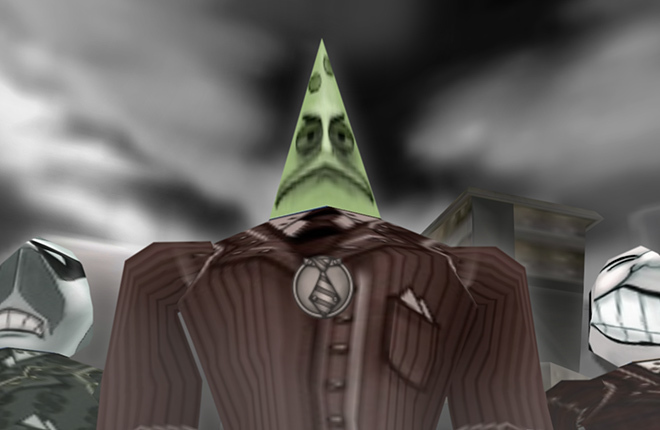 I noticed that Dr. Fission and Dr. Fission stopped showing up in Toon Hall during the silly surge. I had wondered what had happened to them, er him. What will happen next? And did I see Slappy? you came and left when we needed you most Fissiontons. We won't let you die in vain. We will save him, and we will do it together. Toons of the world, UNITE! So it seems we've opened a new, blank page in the history of Toontown, but at a price. Farewell Doctors Fissionton. Thanks for all you two have done. We will never forget you. Well uh, guess there goes the fissiontons, and now we know why the VP instantly fell off the sellbot towers when the silly meter maxed. I am not ashamed to admit, That kind of made me tear up a little. Rest In Peace Fissiontons. Thank you for everything. What happens now? And who was that duck? A shame about the Fissiontons, turns out my first time meeting them was gonna be my last time i'll ever see them. i'll respect their wish and try to the best of my abilities to write a better future for toontown, let's do it for them! Get out your handkerchiefs for this one, you are going to see some Toons go sad. *Sad toon hours* I feel like crying right now. 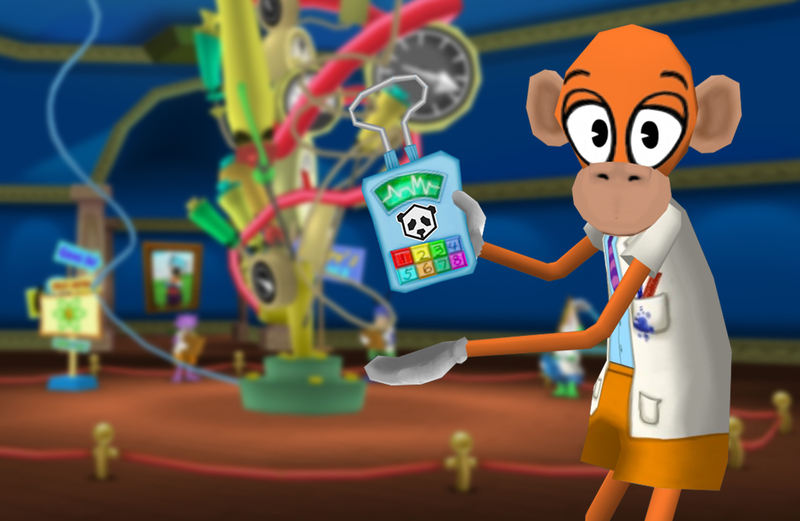 You needed the anomalies to help you Toons. They left because they knew and I'm glad "The Two" are gone. They knew which side to take. Now you Toons are left prey. So... I guess that's why Dr. Surlee ran out when the Silly Meter was about to max. if i heard happier i would have cried! My Laff metter went down after reading this. I've now gone so sad that I'm crying in the corner of my room. Thanks TTR Team! Oh dear! 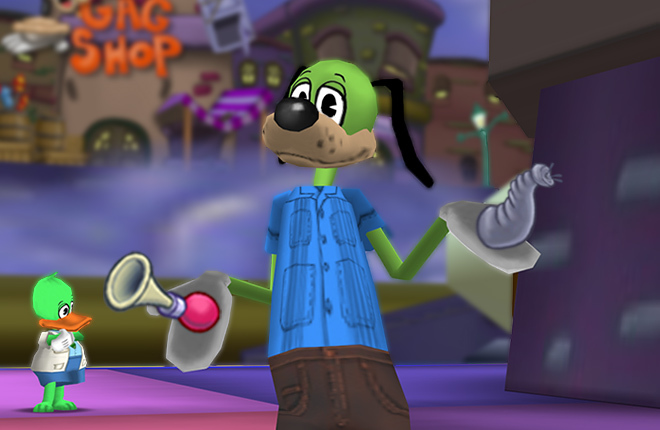 I better save ToonTown now! I guess Fissiontons when sad. yikes. Toontown Gets a Silly Surge! Celebrate the 5th Anniversary of ToonFest at ReplayFX 2019!